Beverly Cleary's Newbery Honor Book depicts an average middle-class family dealing with the realities of life. With the perfect mix of humor and warmth, Ramona Quimby shines as a spirited girl with her heart set on helping. Seven-year-old Ramona world is turned upside-down when her father unexpectedly loses his job. Things grow tense in the Quimby house, but Ramona resolves to help in any way she can--even downsizing her Christmas list. But with bills piling up and her parents constantly stressed, Ramona wonders if life will ever go back to normal. 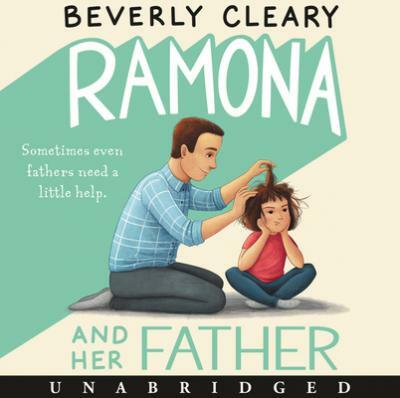 When her father loses his job, Ramona decides to help out. Maybe she could earn a million dollars making a TV commercial, or get her father to stop smoking to save money (and his lungs)--she is full of ideas. Some work, some don't. But when her father says he wouldn't trade her for a million dollars, Ramona knows all is right in her world.